You’ve watched one hundred and one beauty videos and read as many blog posts raving about the French pharmacy wonder that is Bioderma. I can confirm that, yes, it is worth the hype! 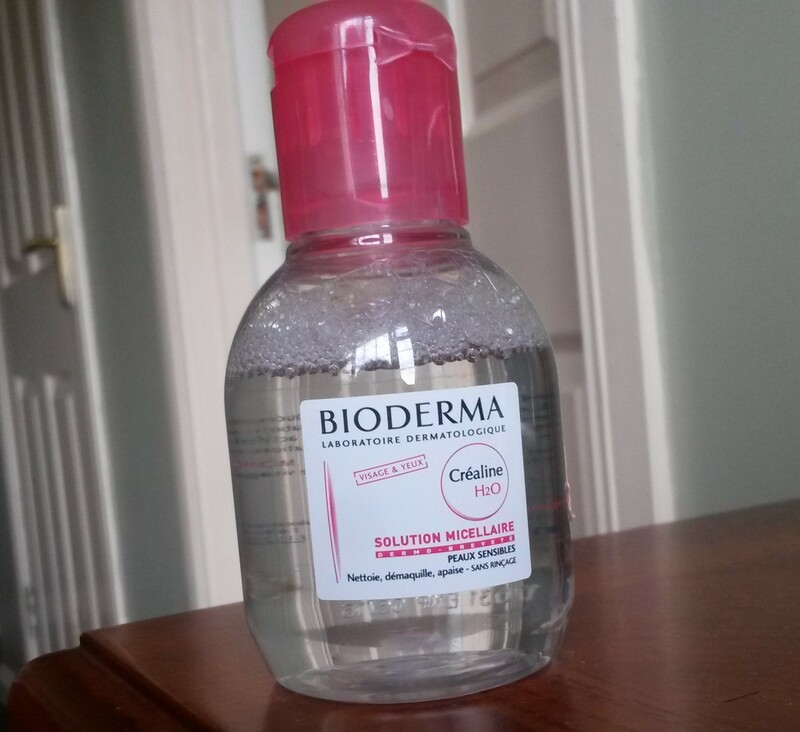 To be more specific Bioderma Sensibio H2O water or, micellar solution, is worth the hype. The facial water favoured by numerous makeup artists, beauticians and bloggers prectically sells itself nowawdays. I first came across the ‘magic water’ on Lisa Eldridge’s YouTube channel. If a product gets high praise from Lisa, you know it’s good! I picked up two mini 100ml travel sized bottles on a recent trip to Paris. These were the only two mini bottles to be found within a 10 mile radius, I scoured high and low. I was only travelling with hand luggage so sadly I couldn’t bring anything bigger than 100mls home. My heart broke even more when I saw a vending machine built into the wall of the pharmacy across the road from my hotel. There were two massive 500ml bottle for an incredible €15 inside. The 100mls I bought were €4.90 each. I expected this product to be much more expensive, so the price is an added bonus. Bioderma is famed for it’s gentleness and rightly so. Gentle though it may be, it is tough enough to remove waterproof mascara and long lasting foundation. Certain waterproof mascaras will require an extra bit of product and time if they are particularly tough to remove. If you are removing a full face of makeup I’d advise using this as a pre or post cleanser. I’m used to washing off my makeup with a gel or cream cleanser so using a product on a cotton pad to remove makeup is still a bit odd to me. 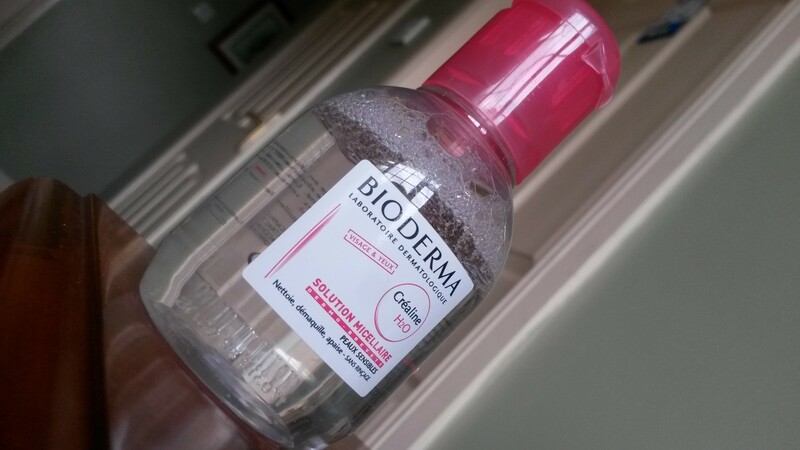 There is no residue with Bioderma and it is gentle enough to use twice a day. There is no scent or perfume at all , which is great if you have very sensitive skin. In terms of value for money, a little goes a long way with Bioderma. The exception being tougher waterproof mascaras. Usually only available directly from France, Bioderma is now available from several online sites. These sites deliver all over the world but I can’t personally voucher for any of them… yet! Some offer free delivery on orders over £30 so make sure you shop around for the best value. Hype: Bioderma Sensibio H2O, most definitely lives up to it’s name and reputation. Cost: It is great value for money and reasonably priced. Availability: It is difficult to find, but it is worth the hassle. This entry was posted in Beauty and tagged beauty, Believe the Hype, Bioderma, Bioderma Sensibio H20 Water, cleansing water, Lisa Eldridge, Micellar soluntion, product, review. Bookmark the permalink.